The Orange School District is extremely proud of its accomplishments in improving student achievement, raising student aspirations, and increasing parental involvement. 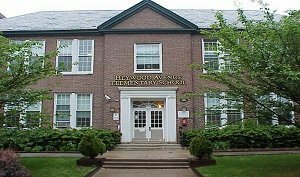 Heywood Avenue School has and continues to excel in these three areas providing quality education to the students we serve and meeting the expectations of our parents and greater community. Professional staff, availability of research-based instructional resources, addressing the New Jersey Core Curriculum Content Standards (NJCCCS) and Common Core State Standards (CCSS) through well-designed curriculum, and implementing effective instructional strategies to promote learning are all key elements in an effective plan to improve student achievement. At Heywood Avenue School, we have ensured that these elements are in place. Our faculty is composed of highly skilled professionals who employ creativity, rigor, and focus for learning in the delivery of instruction. We utilize various instructional resources to include the Houghton Mifflin Harcourt "Journeys" for LAL/Reading, the Literacy is Essential for Adolescent Development and Success (LEADS) for grades 5-7, McGraw-Hill Everyday Math (grades K – 5) and Connected Math (grades 6-7) as well as various supplementary materials focused on meeting the instructional needs of our students. Lesson planning is focused on the delivery of instruction that meets the NJCCCS and CCSS thus ensuring that all students meet the standard for learning delineated for their respective grade level in all subject areas as defined by our state standards. Professional learning is continuous as staff are provided opportunities to attend various workshops, visit classrooms with best practices, and engage in horizontal and vertical articulation within the district to promote discussion and understanding of the needs of our students to improve student success. Our students learn and achieve at different levels, therefore, we structure our services to meet their needs and we celebrate their accomplishments at regular intervals to encourage continued growth. After school tutoring is available to all students in need in grades 1 – 7. After school clubs are also available to encourage and support student learning outside of the regular classroom and have included: Chess, Knitting, Yearbook, Community Service, Computer, Recorder, and Art clubs. Award assemblies are offered after every marking cycle and allow the entire school community to formally celebrate the accomplishments of our students in the areas of high honor roll, honor roll, perfect attendance, uniform compliance, 25 Book Reading Achievement, and Most Improved. It is important to us that our students enjoy their school experience, feel good about themselves, and desire to excel in their studies. Therefore, we provide counseling services within the classroom, in small groups, and/or individually via our School Social Worker and Guidance Counselor to assist them with personal concerns that may impact their ability to be fully successful in school. Raising student aspirations at Heywood Avenue School has proven to be one of our most successful areas in working with our students. Our quarterly award assemblies encourage students to continue to work hard, improve, and be recognized for their progress. Student Council affords students an opportunity to excel in leadership and decision making as it relates to their school. Annual Career Days and College Awareness Week/Activities provide for college and career exploration and tying their learning to real-life experiences that they must be aware of now, even in their elementary years. Travel which occurs via experiential field trips allows our students to see the possibilities and opportunities beyond the city of Orange. A number of our students participate in the NJ Seeds program, NJIT Summer Pre-Engineering program, and attend Gifted and Talented programs offered through local universities. Celebrity Read, Read Across America, Annual Health Fairs, Black History and Multicultural Day assemblies, and other school events give our students ways to explore and attend to their curiosity for learning. Parental involvement is a key factor to student success in school. We have instituted a number of initiatives to keep our parents informed and involved. These initiatives include offering various parent workshops that cover topics related to student medical needs, provision of family/individual counseling services, grade level expectations, state level testing initiatives and how they can assist their children at home. Our parent liaison facilitates the scheduling of our parents within the school to serve as Classroom Parents/Volunteers as their schedule allows. We also ensure that we recognize our parents at our quarterly award assemblies to showcase them along with our students. Our PTA is extremely active and diligently plans engaging activities for families to get involved in at our school thus promoting their awareness of their child’s learning environment and experiences. At Heywood, we are fortunate to have dedicated staff who recognize the importance of being a life long learner, attending to the various needs of the “whole” child, and above all accepting the district’s goals, mission, and vision as their own to continue to move Heywood Avenue School and the Orange School district forward in its goal to being among the top schools in New Jersey. Our parents, the greater community, and all who have experienced Heywood would agree that we have accepted the challenge to meet the expectations of our students and parents and thank both for having confidence in our ability to do so. Heywood Avenue School reflects what good public schools are all about, KEEPING CHILDREN FIRST. We welcome you to join us in this endeavor!